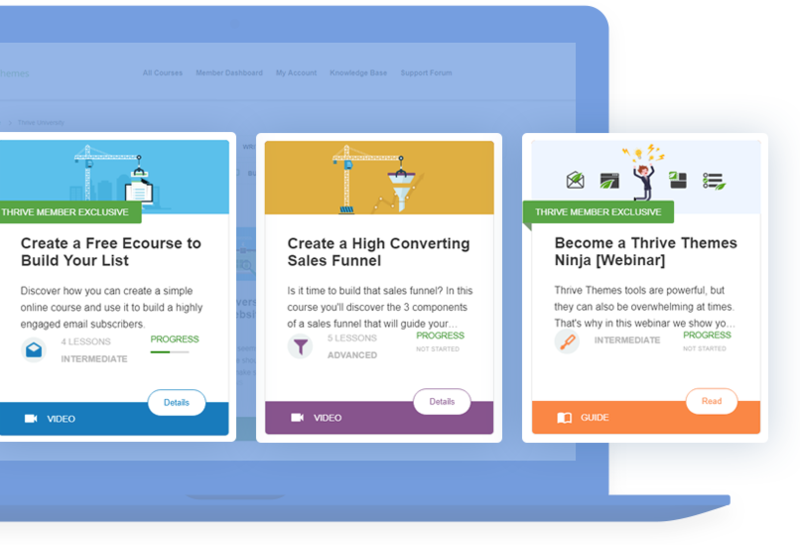 Recently, we added the Asset Delivery feature to the Thrive Leads plugin, making it easier for you to deliver download links to new subscribers. Mailgun is an email delivery service with a good reputation and a very generous free plan: at the time of writing, it allows you to send up to 10,000 email every month, for free. This way, you can ensure that your emails are delivered and do so at a price that is more than reasonable. You guys are always on the cutting Edge! Appreciate all your hard work Shane! Have you guys checked out Agile CRM yet? Might be a good one to integrate with. Lots of great features too! Thanks for your comment, Libby! I’ve briefly tried Agile CRM, yes. We haven’t gotten any other requests for integrating with it, but I’ll keep an eye out. Shane, I am have been asking for this and your have known about AgileCRM since 2014. This is growing in strength. I bought your plugin not know it wont talk to my CRM which basically makes THRIVE LANDING PAGES useless. Can you please come up with a solution. I love your product and now have to look elsewhere for someone who can keep up with SME business needs such as agileCRM. People will come to with this when they stopping $300/mth for other CRM’s and only $120/yr. Can you please solve this problems and create a connection between agile and thrive. Yeah- here’s another vote for Agile. Agile CRM is certainly the strongest newcomer on the market. I am stuck on this integration gap of Thrive right now, too. Please add Agile CRM as soon as possible. Does MAILGUN work in conjunction with MAILCHIMP ? Or does it replace it ? The two services are completely unrelated. Mailchimp is an email marketing service for managing mailing lists and sending bulk messages. Mailgun is an email delivery service made for transactional email sending. Please post about this issue on our support forum so our team can help you out. Thanks! I just set up my mailgun account wiht thrivethemes and everything works as described. Thanks for that Shane! Any chance that there will be integration with 1shoppingcart any time soon? We have not seen many requests for that, so an integration is not planned yet. I don’t understand why any of those smtp (mailgun, mandrill) works for thrive leads if you want just to send the form to a simple email recipient – as you do in contact form 7 . We are using TCB to design comercial landing pages and need to receive, for example, quotes. We are migrating 70 landing pages from unbounce and the form feature is the main feature missing. Please add it and a whole new market will open for you. Currently, we don’t have a contact form or form builder type functionality in any of our products. For the time being, I recommend using Contact Form 7 or a similar plugin. Thanks for the suggestion, Amey! We need a short tutorial on what the difference is between an email marketing service and an asset delivery email. I confess to feeling a little confused between the two and I am sure other Thrive fans are… Thanks for the clarification in advance even if I can google it!! A connection to Agile CRM would indeed be awesome. There is always something missing and in this case a connection to Agile. I found a pretty cumbersome workaround however. You can use the html code of forms to make the connection but this is everything but elegant. API – connection would be very much appreciated. +200 for an Agile CRM integration. After reviewing and testing pretty much every solutions from activecampaign, drip to odoo and several others, I gave up on Mautic because of the bugs and came up to the conclusion that AgileCrm was currently the strongest option for SMB’s. It will only make sense to have an integration with thrive Leads. Any updates on an integration with the AgileCRM API, Shane?